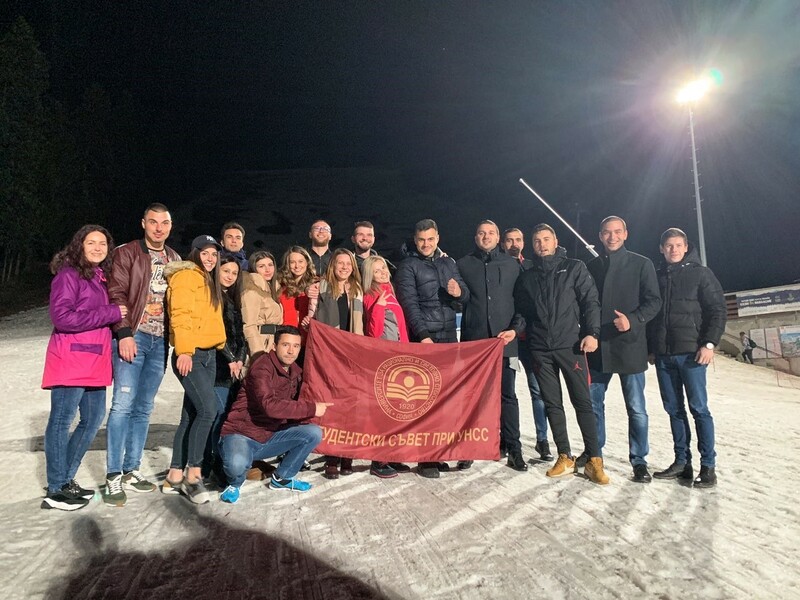 For eleventh consecutive year students from the UNWE took part in the National Student Winter Games – Winter University 2019 organized by the National Student Council Representation and the Association for University Sport Academic (AUSA).  In the event participated more than 300 students from the Bulgarian universities. Eighteen students from the UNWE took part in the competition in six disciplines: cross-country skiing, alpine skiing, ski rally, snow relay, fast sleigh and snowboard. The UNWE team in fast sleigh including Ilian Chabukliisky and Aneta Hristova had a great success – bronze medal. During the Winter University the students attended three lectures. The first one was delivered by Dr. Atanas Skatov, alpinist succeeded to climb seven peaks for less than 6 years, the first Bulgarian climbed the Seven Summits, film producer and author of books. The second lecture on the Programmes Supporting the Entrepreneurship in Bulgaria and the EU – How to Become an Entrepreneur was delivered by Plamen Mavrov, Chairperson of the Management Board of the Bulgarian Management Association. 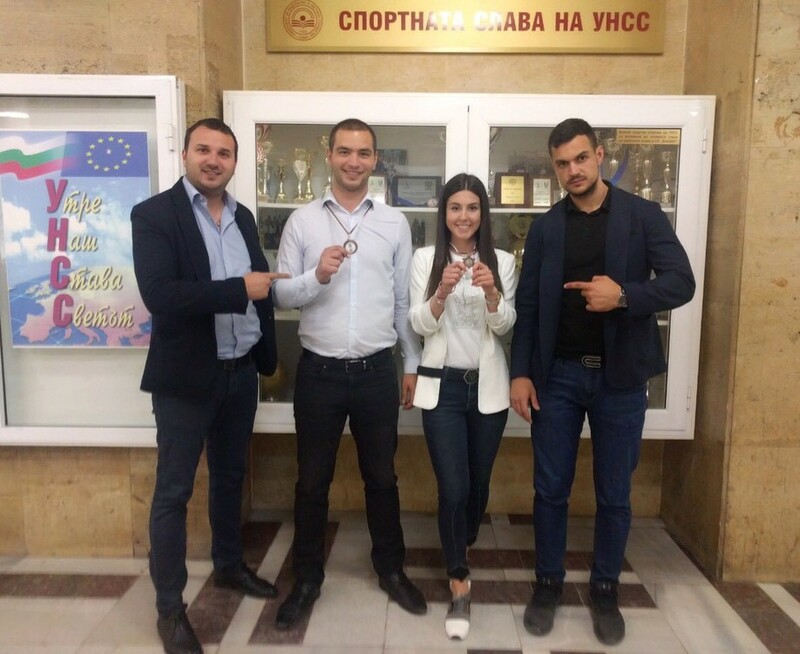 During the third lecture Petyo Kanev, Executive Director of the Human Resources Development Center spoke to students about the Erasmus+ Programme and announced that for the current year more than 39 million Euros had been provisioned for the programme. 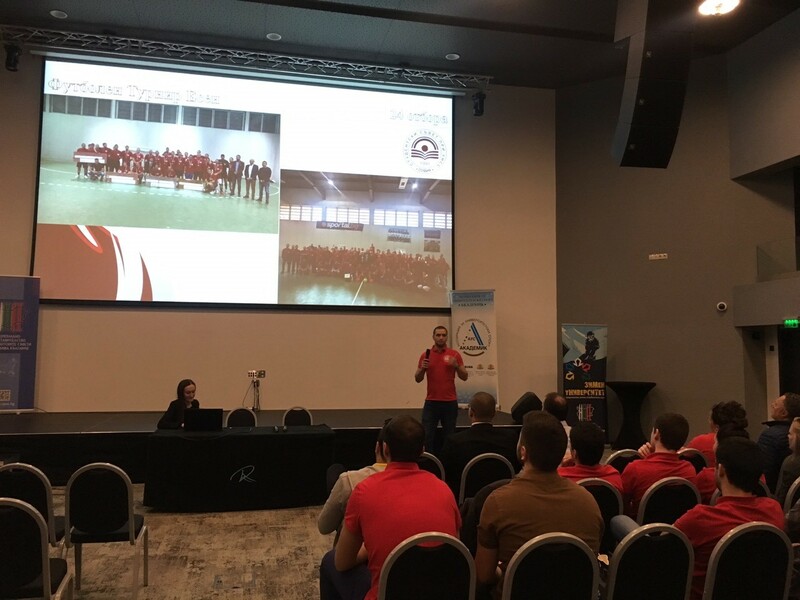 The Winter University objective is to build up an intensive dialogue between the university student communities through participation in trainings, seminars, sport and culture events uniting them to work together for the development of the mass student sport, education and intercultural valuables.